The SC305 is EVE Audio's first three-way system monitors, which was carefully designed to be equally comfortable and precise in a stereo or surround set up. 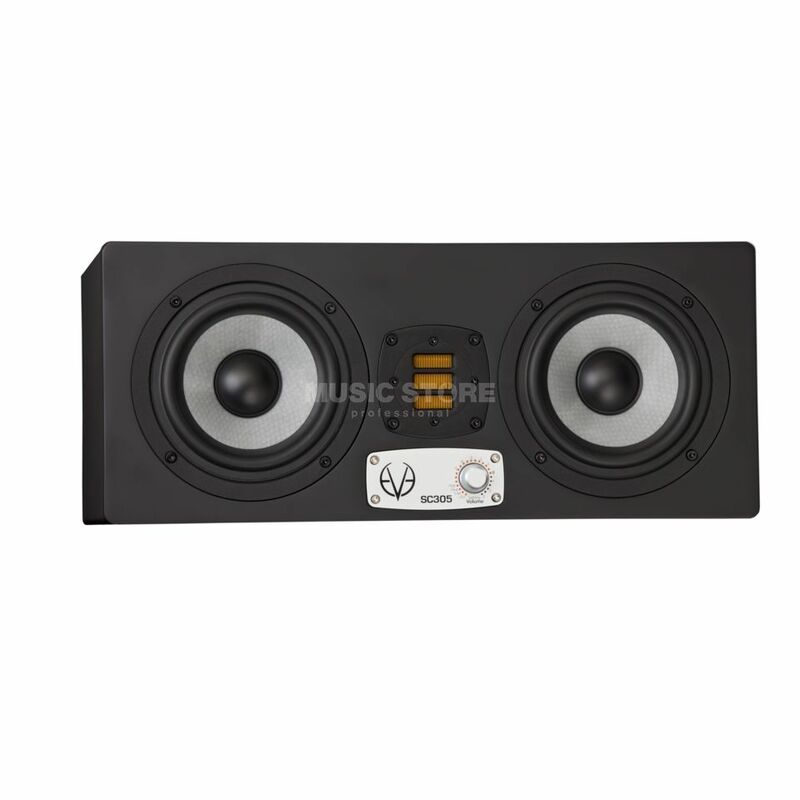 The SC305 are designed around the concept to distribute the frequencies properly between all individual components and raise the efficiency of each speaker effectively. One of its woofers functions as a kind of "bass woofer", delivering sound only up to 350 Hz. The other woofer provides a fuller range up to the 3000 Hz crossover frequency as a bass-midrange driver. Using a bigger front plate and a bigger internal magnet to drive the AMT tweeter with greater efficiency, high frequencies are represented perfectly. Thanks to the high resolution DSP electronics you will have access to accurate volume control and several different filter settings with one push knob operation. The SC305 features a pair of 5" woofers designed with professional music and post-production studios in mind. The SC305 monitors are versatile enough to be used in both critical stereo and surround applications. Accuracy and efficiency are maintained by feeding one woofer with up to 350Hz and the other delivering up to 3kHz, ensuring better response and low end. The SC305, like all EVE Audio monitors, are built on proprietry technology to the highest standards. The results of critical listening tests, as well as technical analysis, have produced monitors that can truly deliver in the studio, as well as translate to all listening environments. Innovative features and design are common to the range, including glass fibre coated SilverCone woofers, Air Motion Tweeters, high-performance bass ports, intuitive DSP control, and speaker protection. All of this great innovation makes the Eve Audio SC305 3-Way 5" Active Monitor the perfect choice for professional producers and engineers, combining high-quality design with practical features and complete sonic control.